View from the summit of The Pinnacles (759m), above Pinnacles Hut. Coromandel Ranges. 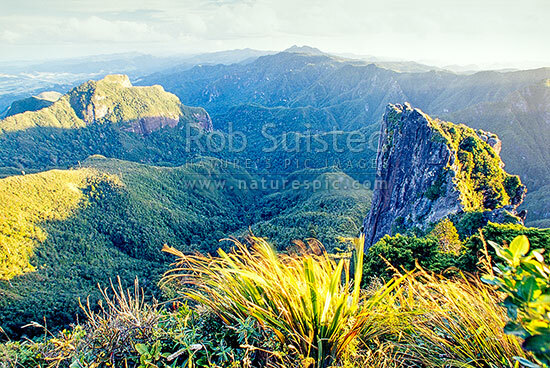 Looking south west, Kauaeranga Valley, Thames-Coromandel District, Waikato Region, New Zealand (NZ), stock photo.